Alison M. Martier is a Senior Managing Director for Global Fixed Income Business Development and a Partner at Alliance Bernstein. She previously served as senior portfolio manager and director of the Fixed Income senior portfolio manager team. Martier was director of the firm’s US Multi-Sector service from 2002 to 2007. 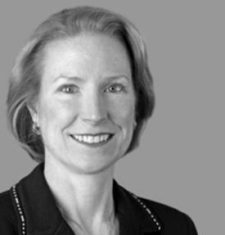 She joined the firm in 1993 from Equitable Capital, where she began as a trader in 1979 and was named portfolio manager in 1983. She is the co-author of “LDI: Reducing Downside Risk with Global Bonds,” published in The Journal of Investing. Martier holds a BA in economics from Northwestern University and an MBA from New York University’s Stern School of Business, and is a CFA charterholder. She and her husband have a son and daughter in college. They reside in NYC and Cornwall, CT.